This is a complete Gorilla Tracking Uganda safari package. It caters for accommodation in Kampala on arrival and after upon return after gorilla trekking. The gorilla trip entails picking you from Entebbe, transfer to Kampala, then to Bwindi Impenetrable National Park for gorilla tracking and then back to the city and finally airport drop. You will be picked up from the airport by the representative of Speedway Safaris and be transferred to your booked hotel in Kampala or Entebbe for your dinner and overnight. Stay at Speke Hotel on Full Board. After enjoying a delicious early morning breakfast, you will set off for your gorilla safari to Bwindi Impenetrable National Park the home of Mountain Gorillas. 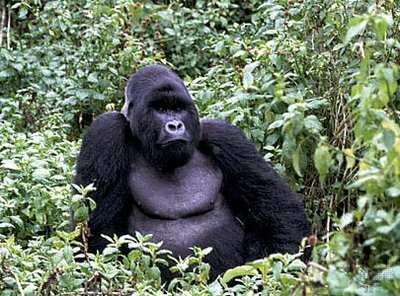 It is estimated that half of the world’s surviving population of mountain gorillas live there. Apart from gorillas, there are a wider variety of primates to see including the blue and red tailed monkeys plus black and white Columbus monkeys. You will drive towards the South Western Uganda going through Mpigi, Masaka, Mbarara Town (Lunch Stop).You will arrive in the late afternoon/evening and you will retire to your accommodation. Stay at Gorilla Safari Lodge on Full Board. After breakfast you will be escorted to the park offices to begin your adventure. A briefing from a local guide and then set off equipped with packed lunch. The time taken and the terrain vary from 1- 8 hours and this depends upon the movement of the gorillas on that day. The thrill of meeting face to face with these mountain gorillas is one of the most electrifying experiences you can ever have. Once you meet these peaceful and calm creatures, you will have a chance to observe and take pictures. Each bump into gorillas is different and has its own rewards but you are likely to enjoy the close observation of adults feeding, grooming and resting as the youngsters play and move backward and forward from vines in a pleasantly humorous demonstration. With time allowing, you may use the evening enjoying guided village walk to nearby communities to observe and familiarize yourselves with the different aspects of Ugandan lives, cultures and lifestyles. Have your overnight stay and dinner at the Gorilla Safari Lodge. After your early morning breakfast, leave for Kampala and have lunch en route. Stop at the Uganda Equator for a photo session and Mpambire Drum Makers and you appreciate the beauty of the traditional drums and other handcrafts. Arrive in the after and retire to your hotel for dinner and overnight at Speke Hotel.